The Branford Land Trust co-sponsored the JB Sliney School Science Fair on May 12, 2015 for the second year in a row. This year registration doubled from 30-60 children! 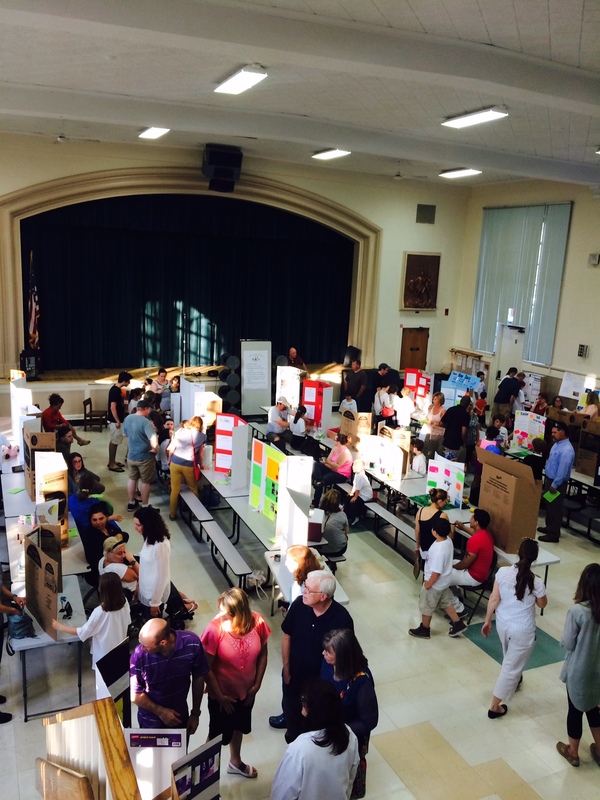 The children proudly displayed their projects to judges, parents, teachers, and students. Projects included All About Ants, Discovering DNA, Solar Energy, Growing Crystals, Effects of Garlic on Growing Bacteria, Taste and Smell, The Sun, Electricity out of Dough, Volcano, Making Electricity with a Lemon, and Best Soil for Growing Aloe Vera, to name just a few. This year, in addition to the science projects, hands-on science stations were added from Camp Invention, Cool-ology, Regional Water Authority Enviroscape, and two stations by the Branford Land Trust. The first BLT station included a description of the Land Trust’s work assisting Sacred Heart University with Project Limulus and the importance of Horseshoe crabs for human health with live horseshoe crabs on hand. The second station was an Osprey display highlighting the work of the BLT Osprey Program, which helps create and maintain nesting sites and provides educational outreach. The hands-on portion of the station was called, “The Science of Building a Nest” where children were encouraged to build a life-sized Osprey next.